Toyota was looking for a solution that has all pink verification to verify ITIL end to end processes & flexibility of customization to meet their business requirements. They tried with all major products and finally selected SMART Service Desk which is fully ITIL compliant & easy to customize. Toyota has streamlined IT procurement processes & drive smarter asset management reuse. Budget rent a car has implemented SMART Service Desk – ITSM Suite, to cater the Service Management needs of its IT Department. “SMART Service Desk provides a user friendly software tool, that allows our IT teams to work together towards a common goal." Technip a world leader in project management, engineering and construction for the energy (oil & gas) industries required a solutions, required an IT Service Management solution. SMART Desk was implemented along with Complex integrations, with in-house ERP systems for implementing the service request approval workflow process. SMART Desks workflow configurator turned out handy for Technip IT Team, to achieve its complex workflow requirement, typical of any large scale service management implementation. Concentrix a global leader, which provides innovative services and technology to accelerate high-value interactions at every stage of your customer’s lifecycle, was looking for a user friendly solution, where the employees can create and track their queries, concerns & service request from web and mobile applications. SMART Desk was the selected by concentrix to serve its geographically diversified employee work force. Beta Technical is a technical and mechanical services in Saudi Arabia. BetaTech implemented SMART Field Service Management Solution to provide Customer Service Support from Azure Platform for its wide range of customers. Betatech provides services such as mechanical & structural works, operation and maintenance of the buildings, restaurant equipment’s, installation of cctv/smart systems and heavy equipment rentals. TouchPoint (Pvt.) Limited a leading distributor of Diebold ATMs and Security solutions in Asian Region, offering product lines such as Opteva ATMs, Advance Teller Automation Technology and complete range of Security Products, has implemented SMART Field Service Management Managed Solutions for Mobile Workforce to Power its Service Transformation Initiative. After using Front Range HEAT ITSM Software for many years, South African National Blood Service has replaced HEAT ITSM Software with SMART Service Desk – ITSSM Software. Key reasons for switching to SMART were, reduced licensing costs and requirement of SANBS to have integrated ITSM & GRC software solution. Blood transfusion has implemented SMART Service Desk - Service Management Solution to streamline workflow in IT, Facilities and Maintenance Departments. Northern Cape Provincial Treasury (NCPT) South Africa, required Information and Communication Technology (ICT) services to deliver on its core and supporting business functions. For effective governance of these services an ITSM solution was required for the implementation and management of quality information services to departmental and provincial officials. SMART Service Desk – ITSSM was implemented a record time of 6 weeks by SMART Service Desk regional office in South Africa. 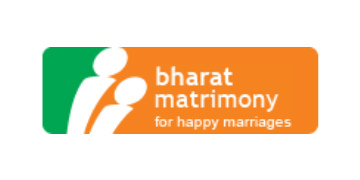 BharatMatrimony an online matrimony service and a part of Matrimony.com has selected SMART Service Desk, IT Service Management Solution, for implementation in 130 offices in India, Dubai, Sri Lanka, Malaysia & USA. SMART Service Desk has been selected to service its customers and employees in India and overseas. Modules implemented are Incident, Problem, Change & Asset Discovery for IT Assets in many geographically diverse locations. 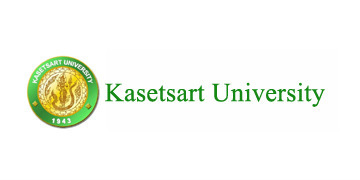 Kasetsart University is a largest public university in Bangkok Thailand. This University has selected SMART Service Desk to automate Incident and Service Desk Management Help Desk, for over 60000 Users in economics, business administration, veterinary medicine, engineering, science, social sciences, humanities, education, and architecture departments. The HelpDesk application is available to students and staff, via self-service portal in English and Thai. The University of Nizwa having over 6000 students is non-profit university in the Sultanate of Oman. University of Nizwa implemented SMART Service Desk to improve IT & Facilities Management Services for its students, faculty and students. Key processes implemented as per ITIL guidelines in university were, Incident Management, Service Request Management, Service Level Management & CMDB. 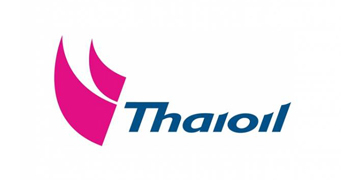 Thai Oil, a fully integrated refining & petrochemical co. in Asia Pacific, has implemented SMART Service Desk – IT Service Management Suite and Asset Discovery suite to manage its CMDB, using Agent-less Asset Discovery. Type of IT Assets discovered include PCs, Windows Servers, Unix Servers, Routers & Printers. Local implementation services are performed by our partner OpenVision Thailand. Redington India's group company Proconnect, which provides Supply Chain Solutions, for Automated Distribution Centers, implemented SMART Service Desk IT Service Management Suite. Oman Airports Management Company which manages operations of the civil Airports in the Sultanate of Oman, selected SMART Case Management Solution to support its services and infrastructure in airports including terminal buildings, cargo building, runway, apron, car parking and other facilities. SMART Solution implementation is part of Services Project by Infoline Oman, to provide multi lingual contact center / help desk in English & Arabic. Ministry of Works (MOW), responsible for all infrastructure services in the Kingdom of Bahrain, including the public road networks, required a feature rich, and easy to customize IT Service Management solution, which could meet their requirements like routing of Incidents based on IP address, configurable service ordering screens and robust configuration management database. SMART Desk met all the project requirements, with ease, and is use in MOW since 2011. ALJ Electronics and Air Conditioning having diversified business in the Middle East, North Africa, and Turkey (MENAT region) selling popular brands such as Toshiba, Dora, Sharp, Bosch, White Westinghouse, Alpine, Rheem and Mekar required a ITIL based customer complaint, work order, asset inventory management software & integrate with Oracle E-business suite, to post work orders, sales orders financial entries. SMART Field Service Management solution was implemented to meet all requirements of ALJ and also Ameyo Contact Center Solution integration was performed, allowing agents to handle customer calls in an integrated environment. Federal Customs Authority in Dubai has implemented SMART Service Desk to comply the guidelines of ISO 20000 Service Management Standard. Military Industries Corporation (MIC) Saudi Arabia, required a multi-lingual ITIL based help desk, IT Service Management Solution with Arabic support and Hijri Calendar. SMART Service Desk was rolled out for IT and Facilities Management in a record time of 2 months for a large scale implementation of 20,000 plus users. Ministry of Defense KSA, required a multi-lingual tool, which was easy to use and rollout new ITSM processes to different Departments. SMART Service Desk was rolled out in record time of 2 months for IT, Facilities and Operations Management Departments. Oman Arab Bank SAOC, which engages in the commercial and investment banking activities in the Sultanate of Oman required an ITIL based service lifecycle management solution to support its core banking service delivery and support functions. SMART Desk was the 1st customer of SMART ITSM Suite and is customer since 2010. Saudi Electricity required a tool to automate its IT Governance, Risk and Compliance Management as per ISO 27001 Information Security Standard. SMART GRC solution has help SEC to meet the required statutory guidelines. Ministry of Health - Oman required a citizen case management solution to capture & manage citizens’ complaints, queries and concerns. Since 2013 citizens of oman, covered by ministry of health, are having the calls logged in SMART Desk, in Infoline Call Centers by ministries multi lingual support agents. Also more than 30% of HelpDesk Calls are reported by Andriod and iOS Mobile Apps powered by SMART Service Desk Technology Platform, which has reduced the number of contact center agents by 30 percent. Civil Service Employees Pension Fund (CSEPF), Pension services department is a governmental organization that provides Retirement Pension Fund for Civil Servants. CSEPF wanted to improve its services to citizens, by improving the service operations and service delivery, by implementation of ITIL Best Practices suitable for government sector organizations. CSEPF Implemented SMART Service Desk Plus Arabic version in a record time of 6 weeks, along with Infoline, SMART Service Desk’s platinum implementation services partner. Mediterranean & Gulf Insurance (MedGulf) senior management wanted IT to gain competitive advantage and help business growth. With SMART Desk implementation it was IT is able to drive up efficiencies, and bring down service delivery costs. IT Director of MedGulf carefully evaluated 3 systems, to ensure ITIL compliance point by point, as per ITIL books, and then selected SMART Desk. Oman Post provides postal service, wanted to improve its services to citizens, by improving the service operations and service delivery, by implementation of ITIL Best Practices suitable for government sector organizations. Oman Post, Implemented SMART Service Desk IT Service Management Suite and Citizen Help Desk Software, English - Arabic version in a record time of 6 weeks, along with Infoline, SMART Service Desk’s platinum implementation services partner. BEAH is an Oman Environmental Services Company responsible for solid waste management in the Sultanate of Oman. Be'ah strives to conserve the environment and manage the waste dumping processes, restructure the municipal waste collection services and improve public awareness of waste management. Infoline a leading system integrator and BPO company in Oman is providing Software as Service for Complaints, Service Request and Query Management using SMART Service Desk - Citizen Case Management Solution. Our HelpDesk solution is configured in English, Arabic and available along with a feature rich mobile app, which is helping effective communication and service delivery for citizens to avail municipal services in Oman. Al-Maha Petroleum Company considered as one of the premier companies in the field of petroleum products marketing in the Oman. Al Maha maintains a network of service stations throughout Oman including Convenience stores, Auto services, Smart card services & Aircraft refueling. Al Maha has implemented SMART Service Desk, in English and Arabic to improve its Services to customers and employees. 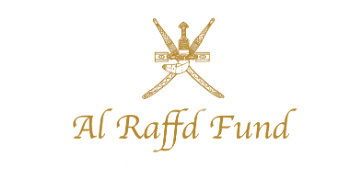 Al Raffd Investment Fund is a financial organization aimed to support, encourage and promote the entrepreneurial growth and advancement among the citizens of Sultanate of Oman. Al Raffds provide simple, quality financing for varied business needs, with a team of dedicated professionals. Al Raffd has selected SMART Service Desk Case Management Solution to provide high quality customer service to its customers. 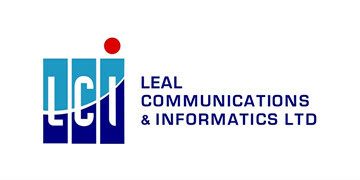 LCI a leading IT Solutions & Services Partner in Mauritius with a customer centric approach, is using SMART Service Desk since Feb 2010. LCI has implemented SMART Customer Field Service Management Software, to effectively service its customers, who come to LCI to avail post warranty implementation services for big brands such as Apple, Cisco, Dell, HP, Samsung & Lenovo. Infoline wanted a solution for their call center agents which is quick, easy to navigate & automate the process of customer complaint management. SMART Service Desk’s user friendly screens and workflow engine helped them to streamline the process. Infoline has successfully on boarded more than 10 government organizations in its call centers, using SMART Case Management Solution Web based and Mobile Apps. Tamer group a leading pharma and trading company in Middle East, selected and implemented smart desk, because of its easy to configure workflow for ITIL processes, for its geographically diversified locations in KSA. Tamer is customer since 2012, and has recently upgraded to v11 of SMART Desk. Liwa Schools Launched a School Service Management System to improve the efficiency of IT and Facilities Services to Students and Faculty Members. The school needed a cloud based solution as part of its lean IT Infrastructure initiatives, and decided to implemented SMART Desk Cloud Solution after extensive evaluation of other help desk solution. School today has a service catalogue and other benefits have included tighter asset management, escalation processes and better Service Level performance. 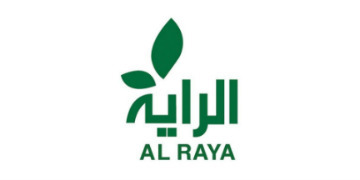 AL Raya is a Saudi Arabian grocery retailing company having many locations in Jeddah, Riyadh, Dammam and other big cities in KSA. To support its SAP ERP implementation and Service Management in its retail outlets, SMART Service Desk – IT Service Desk Suite and SMART Request Fulfillment modules have been implemented. Raya is SMART Service Desk customer since 2011. Abhijeet Group, is a leading private sector manufacturing organization in India. The Group is a well-diversified business entity with significant presence in the core sector areas of Power, Roads, Mining, EPC, Ferroalloys, Steel and Cement. Abhijeet Group’s professionally managed senior IT Management identified and selected SMART Service Desk after doing a cost/benefit analysis of SMART Service Desk against ServiceNow & Remedy. Badan Siber dan Sandi Negara (BSSN), Indonesia’s government agency engaged in Information Security and Cyber Security, has selected SMART Service Desk – IT Service Management Solution, for implementation of ITIL best practices and lay strong foundation for IT enhanced IT Governance. BSSN Selected SMART Service Desk after evaluating ServiceNow, Ivanti and ManageEngine HelpDesk. Provana has selected Smart Service Desk to support its global customer base. Provana offers automated Compliance Management Solutions with cutting-edge technology platforms and a large global workforce with depth and breadth of experience across the collection life cycle. Smart Service Desk is supporting Provana, as a perfect partner, to help increase its profitability, improve performance and exceed client customer support expectations. Glaze Trading a leading FMCG organic products trading company has implemented SMART Service Desk – System Asset and Configuration Management Suite, to manage its IT Assets located in geographically diverse locations across India. Glaze selected Smart Service Desk after evaluating 3 other ITSM products in the market. Dashen Bank, Headquartered in Addis Ababa, is the biggest private Bank in Ethiopia with a network of 196 Branches, selected Smart Service Desk, IT Service Management, Asset Management & GRC Suite after rigorous evaluation process. Smart Service Desk got selected by Dashen Bank, as it scored highest in technical and financial evaluations done by the committees of tender board.